The annual Mobile World Congress takes place in Barcelona from the 27th February to 1st March. 1 What is Mobile World Congress? 7 Where can I follow the news from Mobile World Congress? What is Mobile World Congress? Mobile World Congress is a the 4-day annual gathering of the mobile industry worldwide. Representatives from major mobile networks, phone manufacturers and software developers will be attending the show and demoing their wares in Barcelona. The show, this year held between 27th February and the 1st March, is also well-attended by analysts, journalists and technology bloggers. Many technology companies choose to launch and demonstrate their new products at Mobile World Congress. Of particular interest to consumers this year, we’re expecting the first raft of smartphones and tablets running Android 4.0 Ice Cream Sandwich. We’re also expecting to see the first consumer preview of the Windows 8 operating system and demonstrations of the first quad-core mobile devices. We’re also hoping to learn more about the deployment of NFC contactless payments and the deployment of high speed HSPA+ networks. 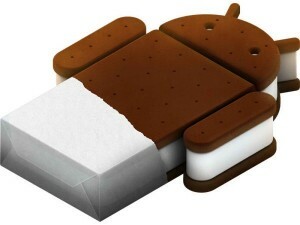 We had our first look at Android 4.0 Ice Cream Sandwich in November with the Samsung Galaxy Nexus. Featuring a beautiful new user interface design dubbed ‘Holo’, improved multitasking, facial recognition security features and improved text and speech input, Ice Cream Sandwich is set to transform the look and feel of Android-based devices. At the time of writing, there are only two phones supporting Ice Cream Sandwich: the Galaxy Nexus and the Nexus S. Aside from these devices (both from Google), we’re yet to see Ice Cream Sandwich running on any other Android smartphone. At Mobile World Congress, we’re expecting that the majority of mobile manufacturers will demonstrate a new phone running Android 4.0. You can also expect to see the first software updates to Android 4.0 rolling out in the aftermath of Mobile World Congress – updates are expected from Samsung, LG, Motorola, Sony Ericsson and HTC to name just a few manufacturers. Although Microsoft Windows is primarily thought of as an operating system for PCs and laptops, Microsoft are currently repositioning Windows to take on the tablet market with Windows 8. Windows 8 will feature the new touch-centric “Metro” interface as seen on Windows Phone and will be able to run on the power-efficient ARM chips which are employed in almost every smartphone and tablet available today. The move towards positioning Windows as a tablet operating system will puts Microsoft in direct competition with Google’s Android. 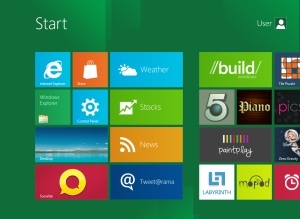 As a sign of Windows 8’s tablet focus, Microsoft have chosen to launch the Windows 8 Consumer Preview at an event in Barcelona during Mobile World Congress. We’re expecting to see a hands-on demo of the first Windows 8 tablets at this year’s Mobile World Congress with the Consumer Preview being available for download from the Microsoft website shortly afterwards. Nvidia have confirmed they will be holding an event to showcase their quad-core processors at MWC. January’s CES saw some of the first quad-core tablets and it’s likely we’ll see some quad-core smartphones and tablets at MWC this year. At Ken’s Tech Tips, we’re sceptical as to the benefit of quad-core devices: battery life is a huge problem and tomorrow’s quad-core chips will inevitably consume more power than today’s dual-core chips. Couple with this the inability of most smartphone applications to even take advantage of quad-core capabilities, there’s an argument to be made that quad-core phones are actually inferior to dual-core ones. If quad-core delivers marginal speed improvements with a much-worsened battery life, we’re not going to be hugely impressed. Instead, we’d like to see more of a focus on well-written software which is fast and power efficient. We’d also like to see improved battery technology. We’ve been looking forward to NFC payment technology for a while now but there’s still no sign of a large-scale deployment in the UK. This is despite the fact that countries such as the US have already been trialling out NFC-based payment systems such as Google Wallet. Last month Visa certified several phones including the Samsung Galaxy S II and BlackBerry Bold 9900 for use with their PayWave contactless payment system. With NFC playing a bigger role in Android 4.0 and mobile operators looking to launch payment services, we’re hoping to see some NFC-enabled smartphones at this year’s Mobile World Congress. Barcelona is a particularly interesting place for NFC as they’ve recently rolled out contactless cash machines using NFC technology. 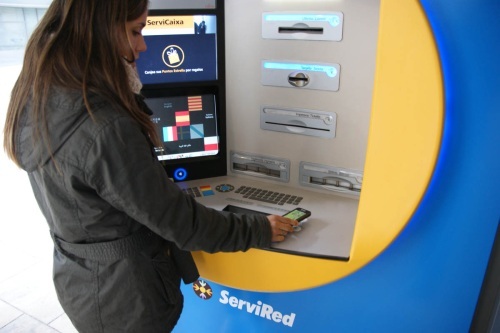 Barcelona is equipped with NFC-enabled cash machines. 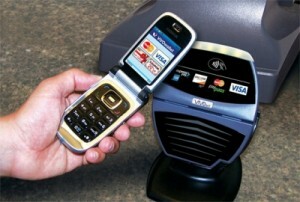 They can be used with contactless payment cards as well as NFC-enabled mobile phones. Everybody has been raving about 4G technology over the past year: 4G technologies such as LTE promise download speeds in the region of 100Mbit/s in the future. This compares to the typical speeds of 2Mbit/s we currently see on our 3G networks in the UK. Unfortunately, we’ve got to wait until 2014 at the earliest for 4G in the UK. This is despite the fact other countries such as Germany have had it for well over a year. In September, we went hands on with Vodafone’s German 4G network and experienced download speeds of 84.5Mbit/s on a mobile connection – a sign of what might be to come in a few years time. Whilst we wait for 4G to be launched in the UK, we’ve been seeing some radical speed improvements from 3G technologies. HSPA+ mobile networks launched in the UK during 2011 offering download speeds of up to 21Mbit/s. 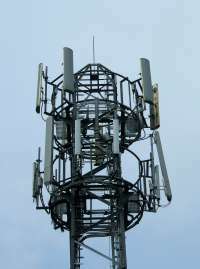 In 2012, we’re expecting to see a deployment of dual-carrier HSPA+ from Three in the UK which will offer download speeds of up to 42Mbit/s. Other networks are also likely to follow suit. 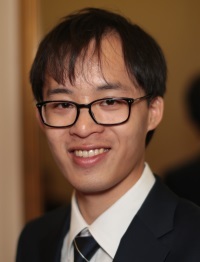 At this year’s Mobile World Congress, we’re hoping to see some of the first smartphones and tablets on the market with support for 42Mbit/s dual-carrier HSPA+ connectivity. The availability of compatible smartphones and tablets should pave the way for the roll out of 42Mbit/s HSPA+ networks in 2012. Where can I follow the news from Mobile World Congress? Technology blogs such as Engadget and The Verge are our favourite places to follow all the news from Mobile World Congress. It’s likely that Mobile World Congress will take over the pages of most technology publications during the show. These sites often “live blog” press conferences and announcements too, giving up-to-the-minute news on what’s being announced. You can also follow the #mwc2012 hashtag on Twitter for the latest announcements and discussion. We’ll also be reporting from Barcelona at our Twitter feed (@kenstechtips). In the following weeks, we’ll continue to dissect everything that happens at Mobile World Congress and look to see whether any of the new products will help to improve your mobile life.